Android users are in for a Halloween treat with Google Now features added to the Google Search app. The update allows Google Now to integrate with a user's Gmail account and pull new information regarding flights, hotel and restaurant reservations. They can even track packages. 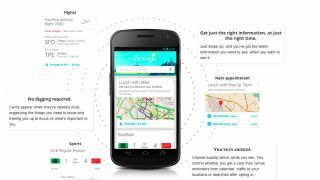 "Google Now gets you just the right information at just the right time," the Google Now landing page read, and the company is holding itself to that credo. Location-based enhancements will also pull up Now cards with movie times when near a theater, upcoming concerts for favorite bands in the area, local events and photos of nearby sightseeing spots. The search app update piggybacks on the announcement of Android 4.2: Jelly Bean, which brings new Photo Sphere functionality for Street View-like photos of user surroundings. The upgraded Jelly Bean rolls out on Nov. 13 along with the newly announced Google Nexus 4 handset and Nexus 10 tablet, both of which will launch with the latest OS installed. A 32GB and 3G Google Nexus 7 complete the Android trinity when those variants launch later in mid-November, also with Jelly Bean 4.2 in tow. While the new OS update and Android devices are still a few weeks away, the Google Search app update is available for Android 4.1 users now in the Google Play store.